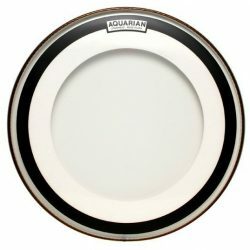 The Aquarian Impact III is a controlled bass drum head. 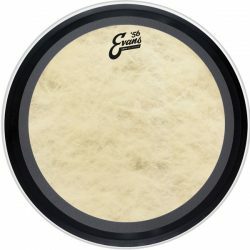 This head has a deep warm punch with minimal overtones, and still allows for a small amount of mid and low-end sustain. 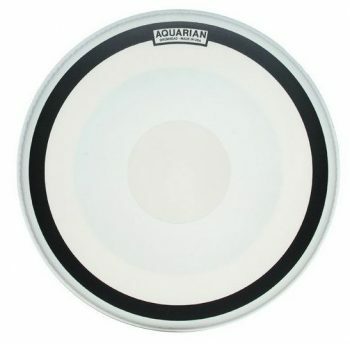 The Aquarian Impact III has a single ply of 10mil coated film, a center control dot, and a wide felt muffling ring attached to the underside of the head. 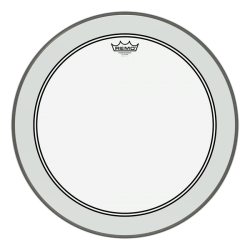 The muffling ring is partially glued to the head, allowing part of it to “float” more freely when the drumhead is struck. The muffling ring reduces overtones and ringing dramatically, while still giving a small amount of sustain thanks to the floating feature. The control dot increases durability, and reduces the sustain a little. Overall, the Aquarian Impact III Coated is a very focused drumhead… This head is great for hard to tune drums, or for removing strange ringing from your bass drum. 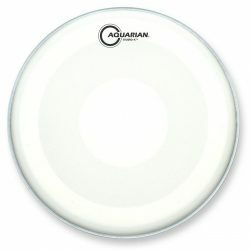 Sound-wise, the Aquarian Impact III Coated has a warm punchy attack, followed by a short and warm sustain. The single ply construction allows for a little resonance, however the control dot means there is less sustain than the very similar Aquarian Impact I. 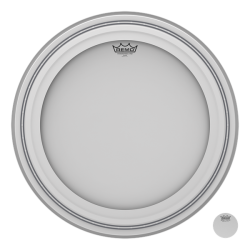 The Impact III is a very focused bass drum head. Clashing overtones are eliminated thanks to the muffle ring and the center control dot. 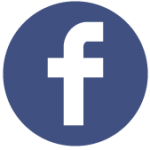 The short sustain is focused on the mid and low end of the frequency spectrum. The features of the Impact III combine to gives a punchy, warm, and short sound. The coating of the Aquarian Impact III adds warmth, helping to cut the higher frequencies. 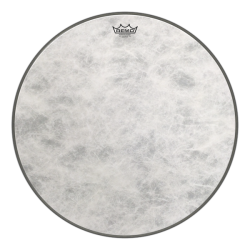 The center power dot on this drumhead gives more focus to the sound, and also a slightly increased attack. 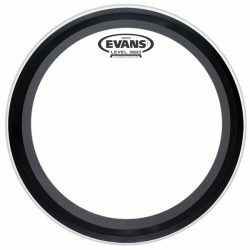 At medium and higher volumes, this bass drum head really shines. The added durability from the power dot means the Aquarian Impact III can handle some heavier hitting, and the punchy sound means it will be heard if things get louder. 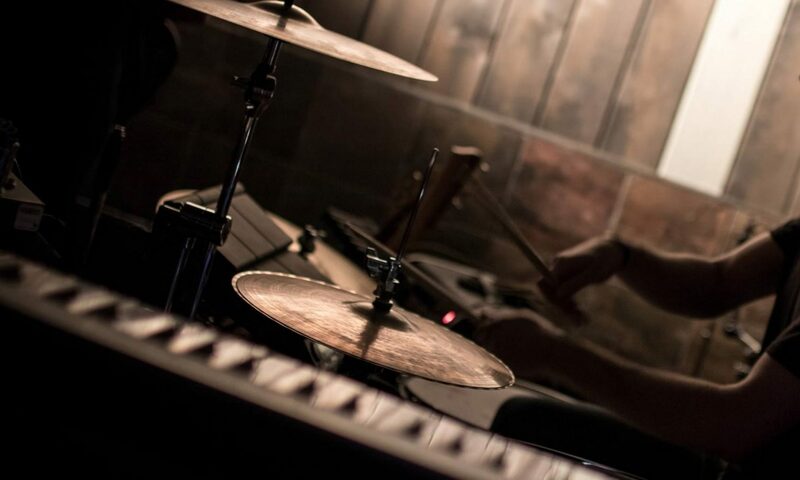 Note that at extreme volume levels, a microphone is recommended on the bass drum with this head. The Aquarian Impact III is perfect if you want a punchy and warm bass drum sound. This bass drum head is very focused, but doesn’t completely choke the sustain. The Aquarian Impact III is the warmer middle ground between the sustain of the Aquarian Impact I, and the durability of the Impact II.